Look lovely at graduation in this floral-print party dress. 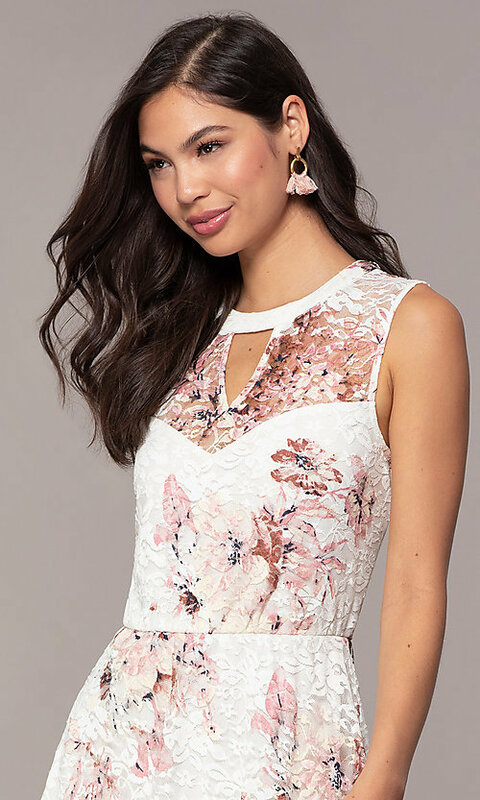 This cute and short party dress is perfect for commencement 2019 or cocktails with friends. The high-neck bodice features sheer lace panels that create a sweetheart shape under the trendy illusion high neckline. 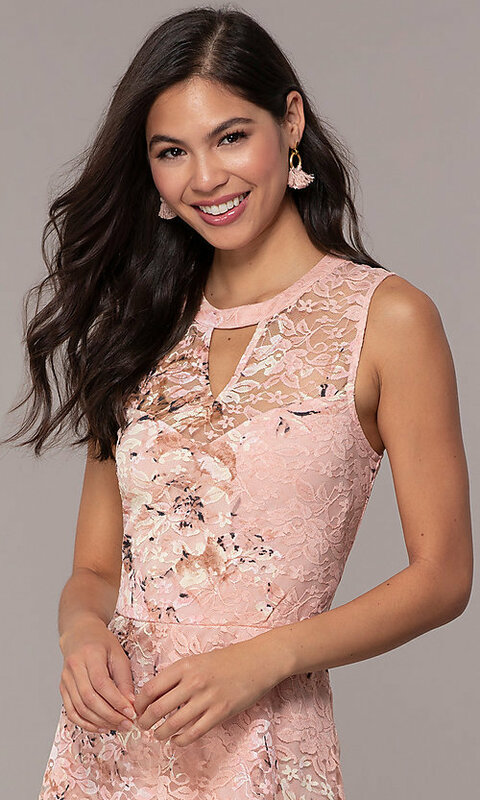 The high neckline on this lace grad dress is further accented by a front cut out that is mirrored by the keyhole cut out on the back of the bodice. 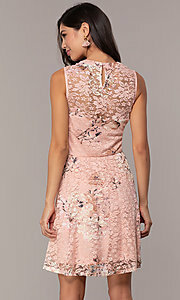 Wear this floral-print graduation party dress to stand out at an upcoming special event.